It’s a decent read. Not anywhere near the greatness that THE SHINING managed to achieve, but it’s still a reasonably entertaining read. The quality of the film adaptation will hinge upon how good of a young actress they cast as Abra, who I think is one of the best characters King has created in quite a while. The vital ingredient that is 6 letters, beginning and ending in K is sadly gone, so I’m not getting particularly excited about this. Mike Flanagan did a fantastic job directing GERALD’S GAME, a novel that a lot of people deemed to be unfilmable, so I have hope that he’ll be able to do a good job with this one as well. It’ll be interesting to see who rounds out this cast. Fair enough, I haven’t seen Flanagan’s work so I’m making assumptions. And Kubrick is arguably put on too high a pedestal . But for me that pedestal could never be high enough. I’ll try and check out Gerald’s game. Since Doctor Sleep is so different from The Shining I never expected the adaptation to be similar in style or tone. But I don’t think they will resist putting Danny back into the Overlook. Rebecca Ferguson will be joining Ewan McGregor in The Shining sequel Doctor Sleep, which follows an adult Danny Torrance and will be released in 2020. Great choice for the main villain! I wonder if they’ll end up adapting all of King’s work here over the next few years at the rate they seem to be going. Maybe someone else could take another crack at The Dark Tower while they Stephen King renaissance is still going. I would imagine that this would still be coming to us by the creative team behind last year’s film adaptation. If so, I’ll pass. They need an entirely new team behind it. I’d be the same. My favourite character from that series, played by a remarkable actor and I was still bored senseless. Akin is a surprising choice indeed. But he probably will just have his Hollywood adventure and then return - like Oliver Hirschbiegel. The Dark Tower…having seen the first season of Westworld it’s increasingly mysterious, at least to me, why the tv route wasn’t pursued from the go. It strikes me that would have been the perfect stage to adapt both the surreal tale of The Gunslinger and the more straightforward later books. By telling several plot lines in parallel and/or out of chronological order the series could have captured a good part of the original’s appeal. It might even have improved on the weaker parts of the books where there are plotholes or gaps. However, for now The Dark Tower seems burned by its own adaptation. If there should indeed be a tv series it would best start from a clean slate and not be connected to the film. It definitely should have been a TV series. HBO would have been a great place for it, I think. But, at the very least, multiple 2.5-3 hour films should have been the route to go. The idea to try to condense a series of 7 (or 8 if you include The Wind Through the Keyhole) considerably long novels was, at the very best, seriously misguided. Sicario II is missing key elements of Sicario I: The film director (Denis Villeneuve); photography director (Roger Deakins); and music director (Johann Johannsson). Therefore, it would be completely daft to compare the two films. So, I will review Sicario II as a stand-alone experience. Sicario: Day of the Soldado puts the viewer in the middle of circumstances that currently exist in the western hemisphere. Drug cartels, terrorists, the effort to erase a national border, and distrust that governments are doing what is morally right. Sicario II touches on these current societal wounds, and pours salt on them. Middle-Eastern terrorists smuggled across the border between Mexico and the United States are thought to be the perpetrators in an horrific attack. This turns out to be an incorrect assessment, and the central team are told the “wipe it clean.” One soldier (soldado) chooses not to follow orders, and escapes with an innocent witness to things that should not have been seen. This creates tension and tests the ties that bind between the savior soldier and his fellow soldier in arms. Lets face it, this is an action film, and a darn good one, too. I have read many reviews of this film, and most tend to inject current politics into their posted prose. And, I suppose many viewers will do the same. See this film without comparing it to the 1st one, and with an open mind, and you are in for a good story. I, for one, hope the writer (Taylor Sheridan) comes up with another story to follow this one. And soon. I will say this… The brotherhood of Matt Graver and Alejandro Gillick is strengthened. 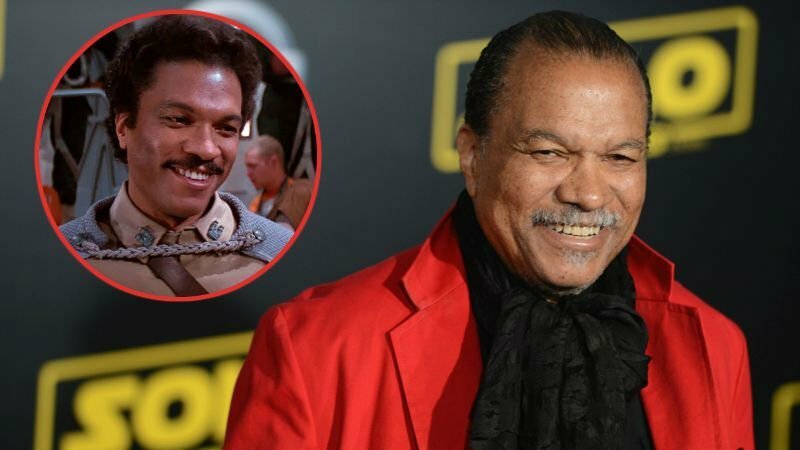 Billy Dee Williams will return as Lando Calrissian for next year's Star Wars: Episode IX! Production on the film is set to begin later this summer. Would never have thought that Lando would be the first cast member confirmed for IX. I assume he fills in for the role Leia would have played. So, was Lando always in the script for IX or has he been added after the popularity of Donald glovers portrayal in Solo. I’m gonna go with the latter for arguments sake, for gossip’s sake and because the fact that they’ve announced Williams in this way sounds like a marketing edict from on high due to Solo. He probably was in the original script as a cameo, but his role will have been significantly expanded in an effort to pandour to his sudden popularity. So with Disney’s desperate knee jerk reaction to add/expand Lando there’ll be last minute rewrites to a finished script. That is never good. It’s bad enough when a disfunctional script is given another pass at the last minute. But when a script that presumably has no problems is put back into draft so that a whole new character can be added, or significantly expanded for commercial reasons then you’re on the slippery slope. Big question then is how big are the rewrites? I’m guessing the money folk making this happen at Disney will want far more than just a fleeting cameo. That means changing the story big time to give an extra character something more substantial to do. It doesn’t bode well for Ep IX.